Human trafficking is a multi-billion dollar international industry, with estimates that it generates up to $32 billion a year. Fighting against it requires substantial resources, time – and money. Among the many organisations which are devoted to ending human trafficking and slavery, there are countless ideas and strategies to combat the phenomenon. Everyone is trying to find a way to ‘move the dial’ – to make some measurable impact and keep people safe. Blue Dragon has developed and utilised a simple intervention which is both useful for combating human trafficking, and which gives people access to their civil rights: citizen registration. 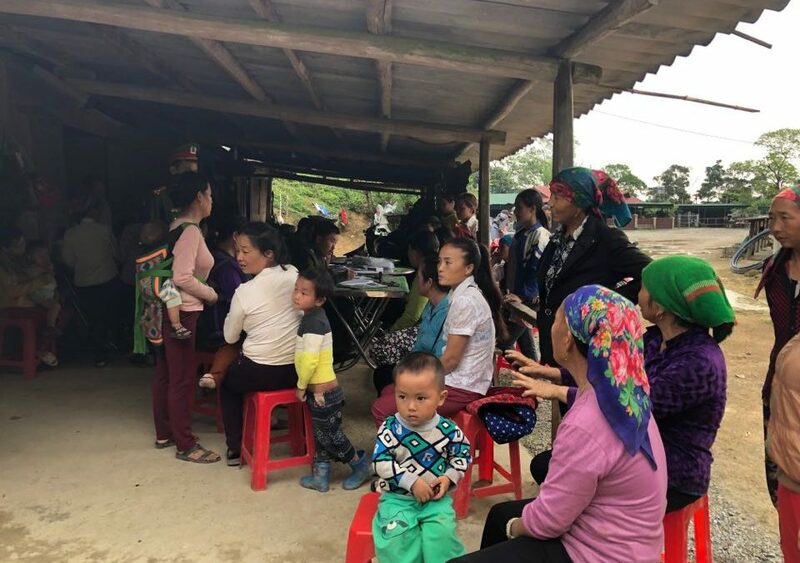 Throughout Vietnam, tens of thousands of people grow up and live with no birth certificate; this number may be in the hundreds of thousands but until now nobody knows. Most people in this situation belong to ethnic minority communities, and are extremely poor. Without their births being registered, they never appear in national surveys, they have no right to attend school or receive welfare, they can never have a legal job or pay tax, and they do not appear on any register of citizens. While all of these factors increase a person’s vulnerability to being trafficked, it’s the last point that is most significant. If somebody does not ‘officially’ exist, then it becomes extremely difficult for them to be listed as missing, or to have an official report if they are trafficked. It’s also very hard for police to start a search for someone who has never ‘officially’ existed. Registering citizens is therefore crucial to enabling people to access their rights, and keeping them safe from human trafficking. The act of finding people who are without registration – or whose registration is incorrect or incomplete – and getting their legal documentation in order is usually quite quick and straightforward. (When people have been separated from their home community for a long time it can be much more difficult, but still not impossible). Last week, Blue Dragon visited a community in Nghe An province of Vietnam, where human trafficking is a major problem. In the course of 2 days, we registered over 600 people – mostly women and children – many of who had never officially been listed as citizens before. This brings the total number of people we have registered so far to over 12,000. The cost of this comes to about $3 per person, a tiny price to pay to reduce someone’s vulnerability while giving them access to their full rights as a citizen. This practical, inexpensive intervention will not end human trafficking, but it’s a vital part of the overall strategy.